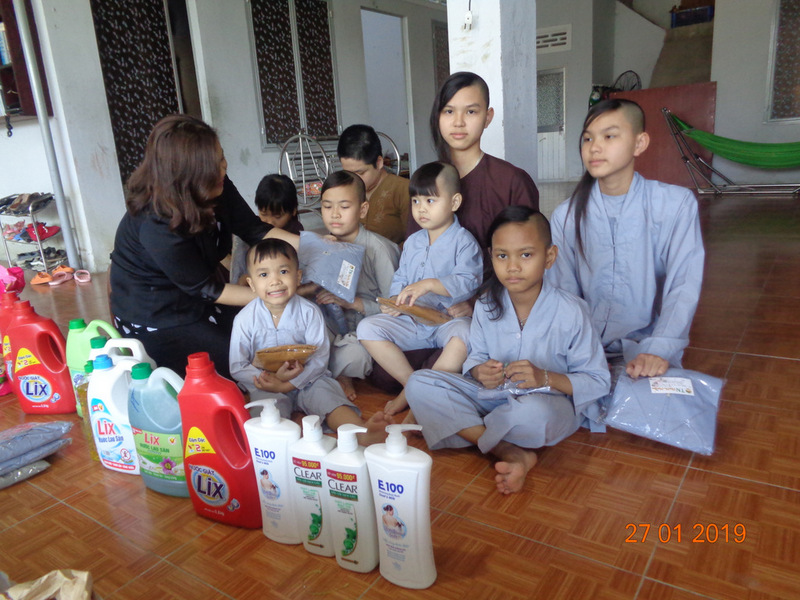 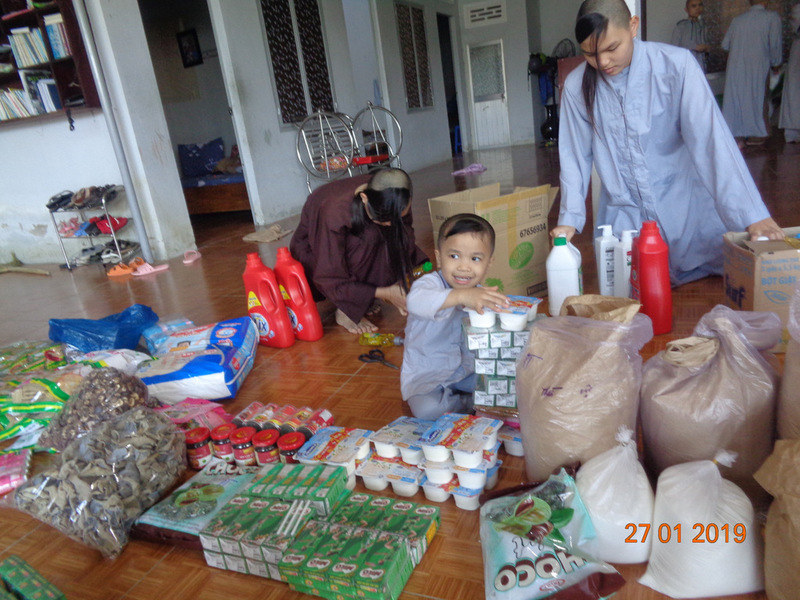 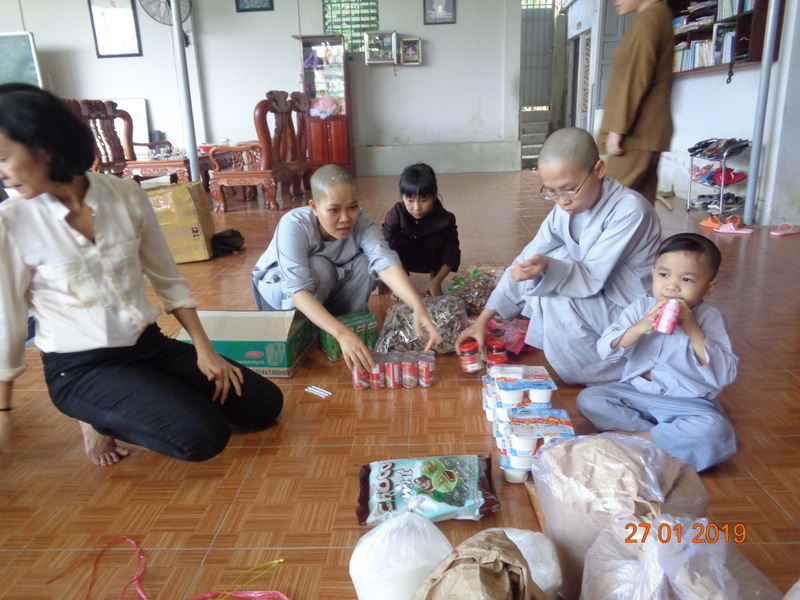 In late January 2019 we visited the Song Lo Orphanage with some Tet surprises and general supplies. 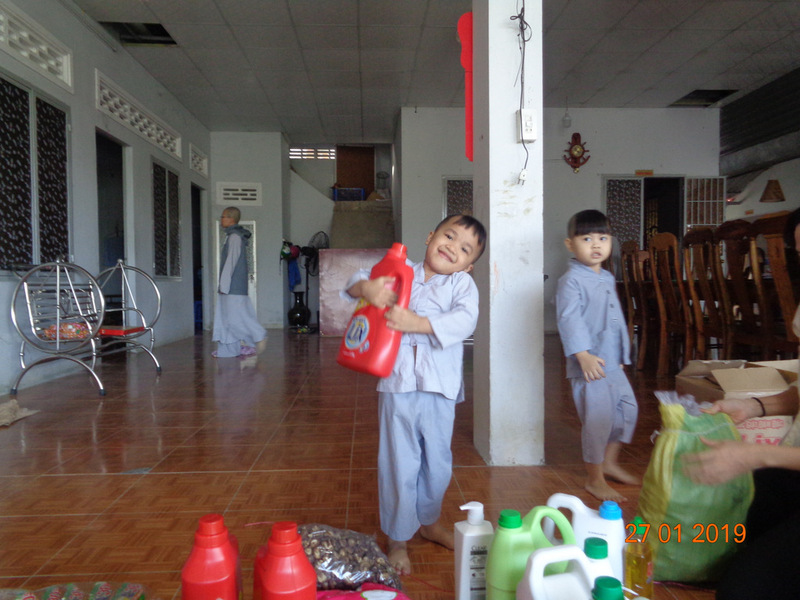 Song Lo is a small orphanage located to the south of Nha Trang in a peaceful country setting. 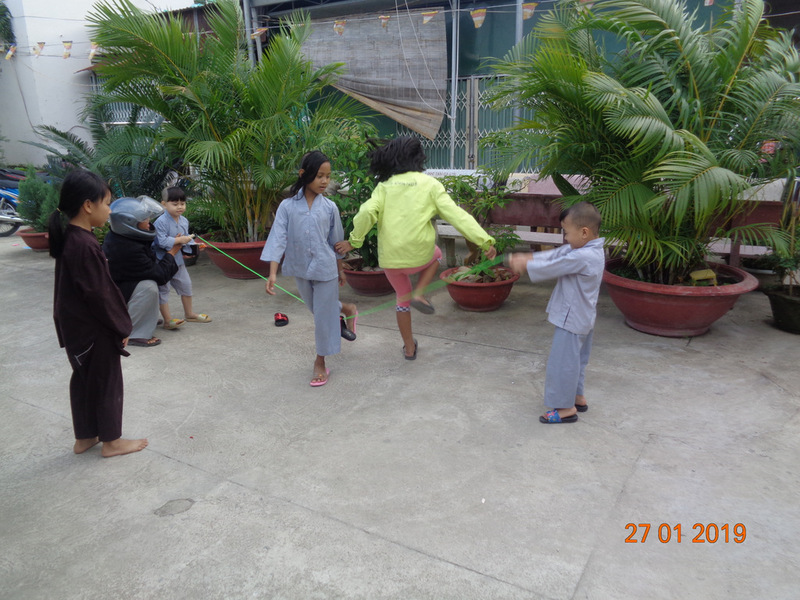 The nuns at Song Lo provide a loving and nurturing home to these wonderful children, and it’s always a joy to visit. 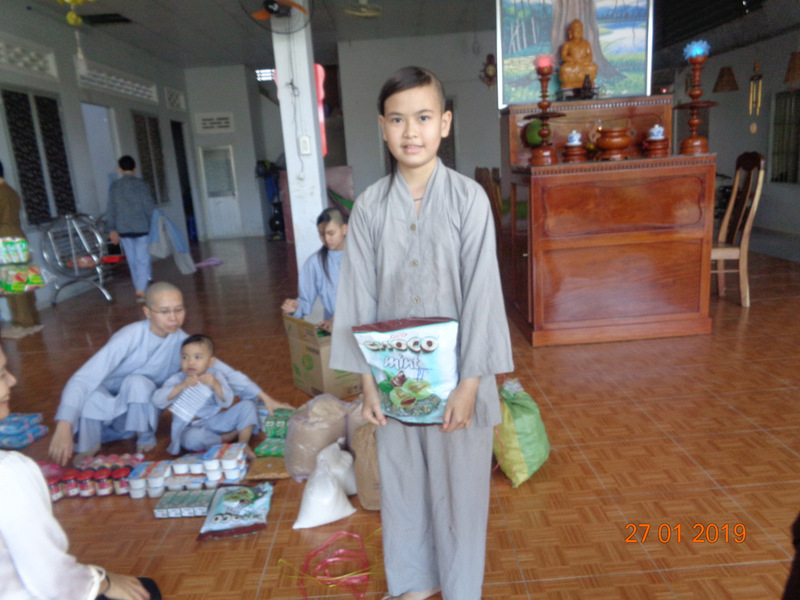 The lunar new year, Tet, is the biggest holiday of the year in Vietnam. 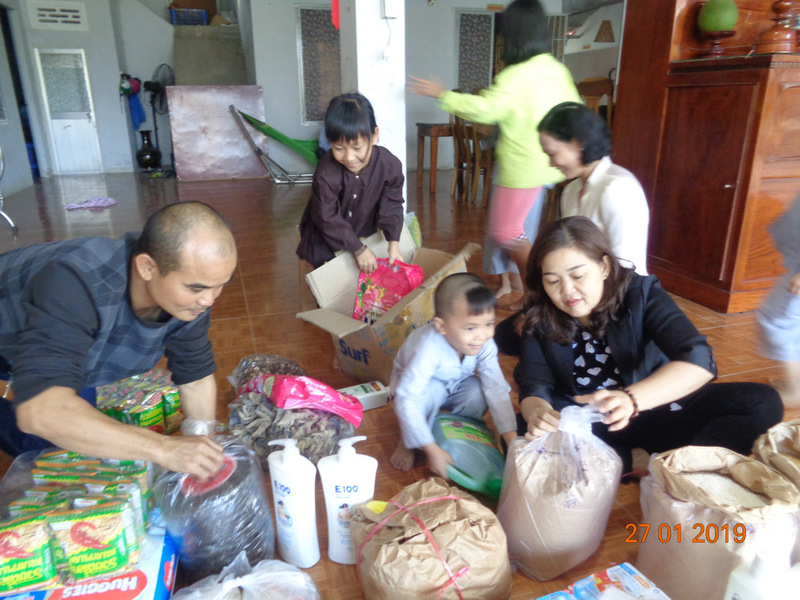 Traditions include eating holiday foods, getting new clothes to wear for the new year, and children receiving little red envelopes of lucky money. 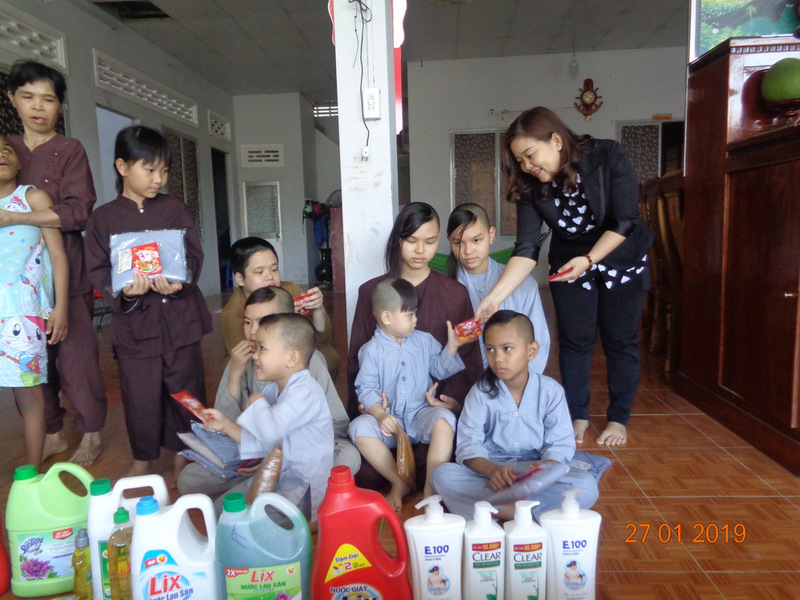 We wanted to bring these lovely children some holiday fun. 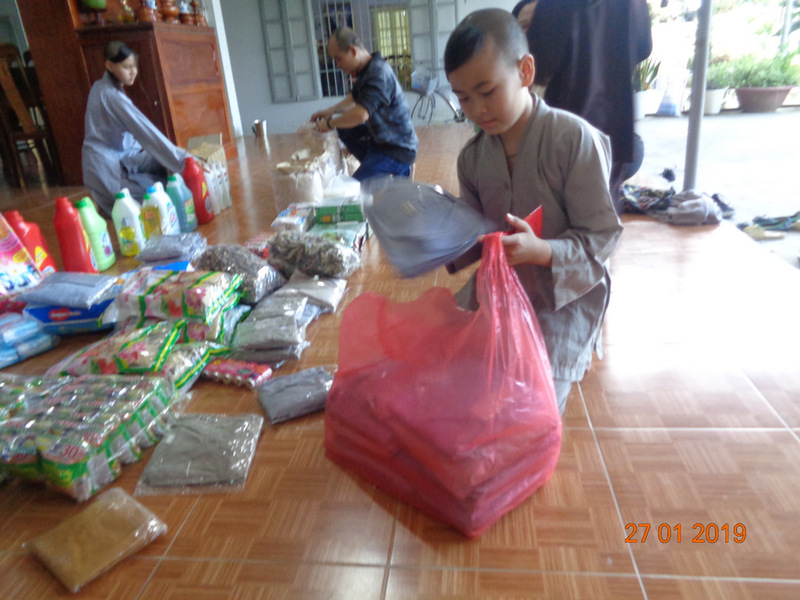 In addition to general supplies, we brought lots of traditional Tet snacks, the children got new outfits to wear, and each child got their own lucky red envelope. 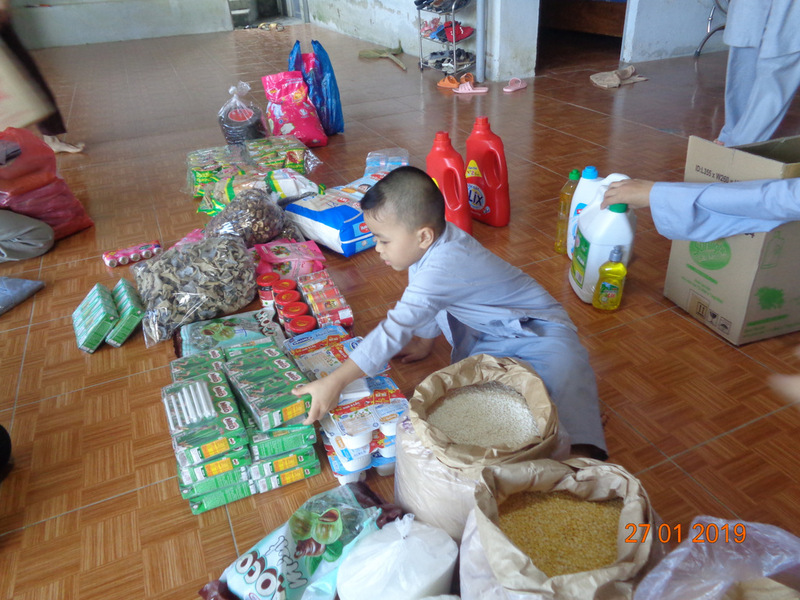 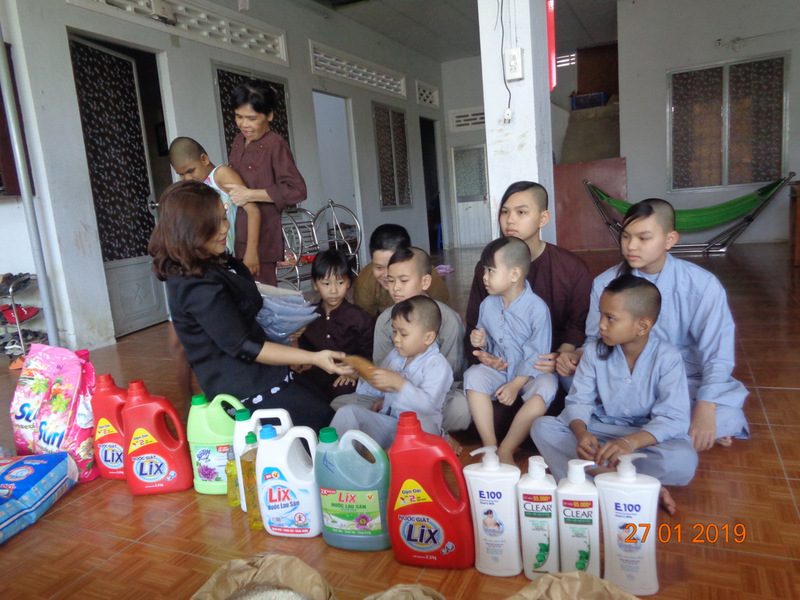 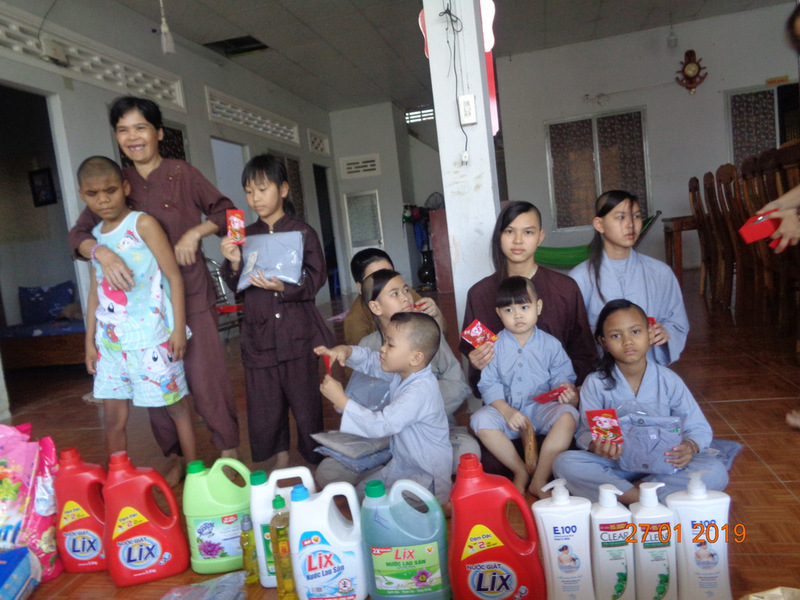 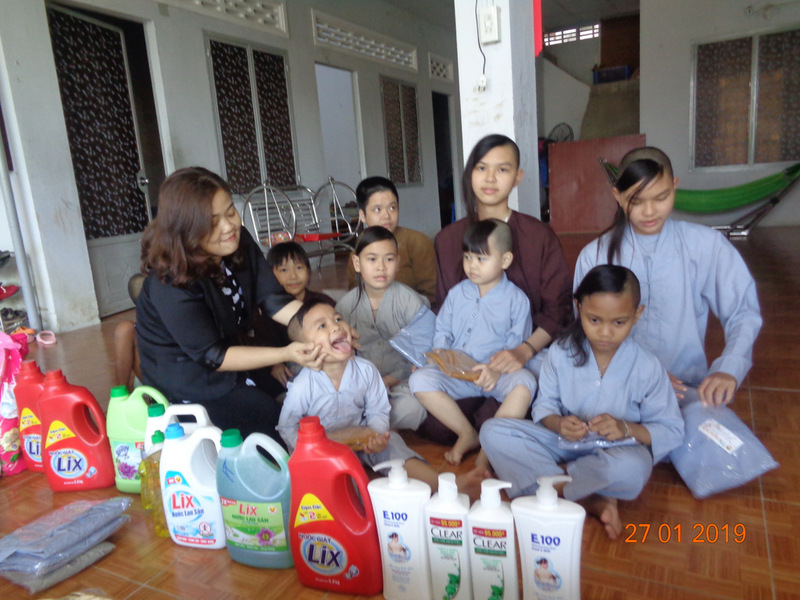 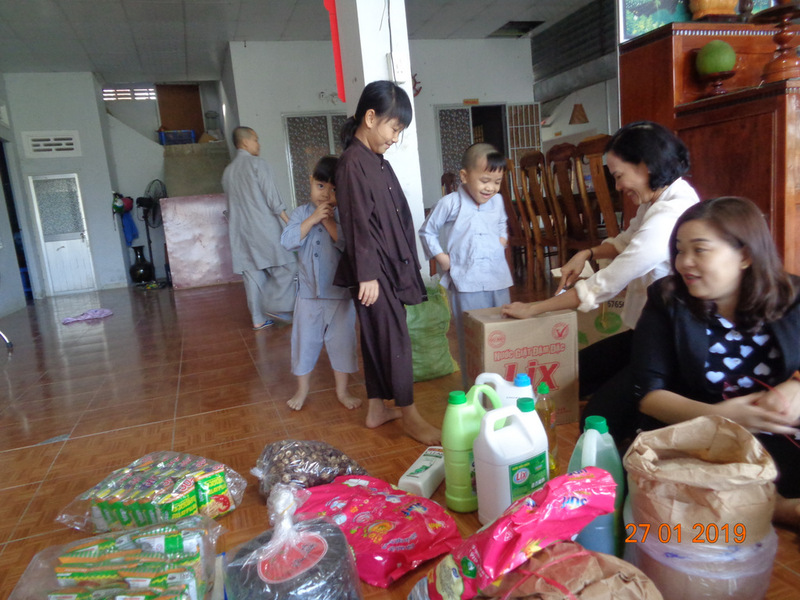 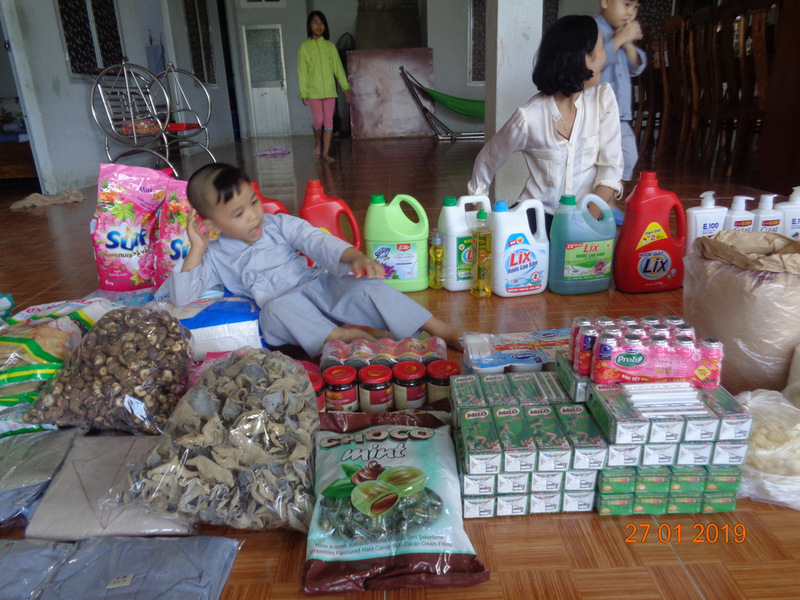 We coordinated our visit with the nuns, who requested some general supplies for the orphanage. 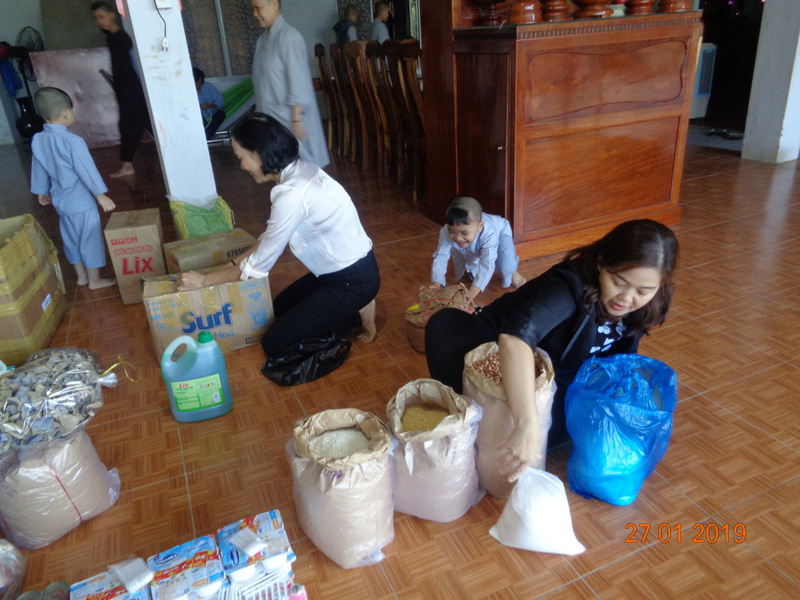 General supplies included packages of soup, soy seasonings, bags of mushroom varieties, jars and cans of seasonings, packages of milk, bags of bean varieties, bags of rice, soup stock, toiletries, and cleaning supplies. 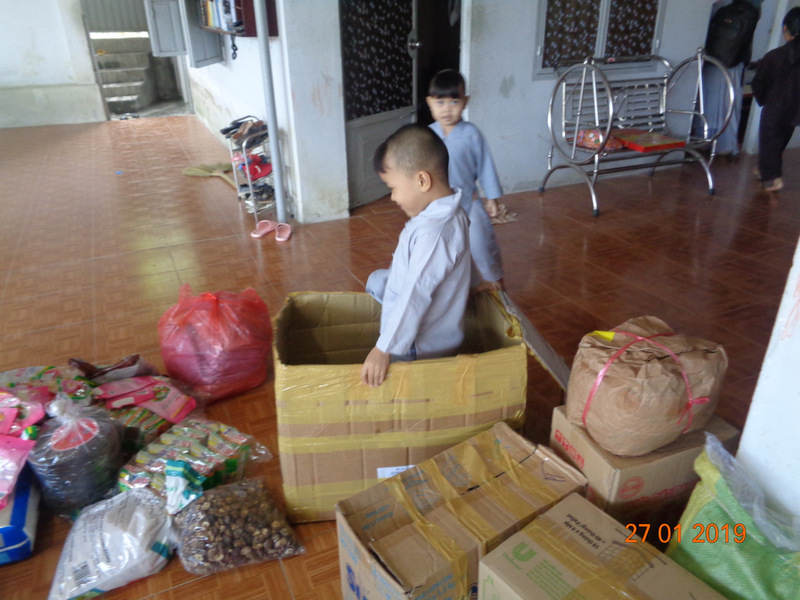 As always, the children helped unpack everything we brought in the main common room. 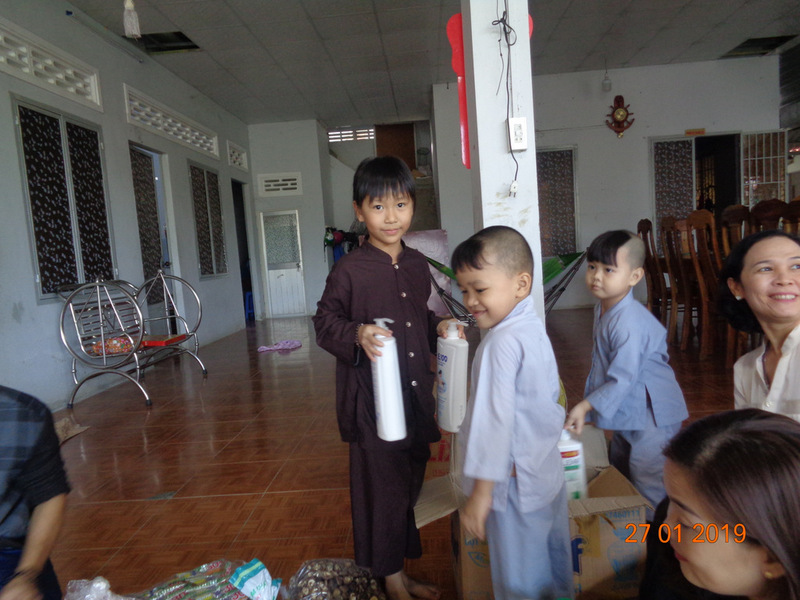 After receiving their gifts they helped carry all the general supplies into the orphanage. 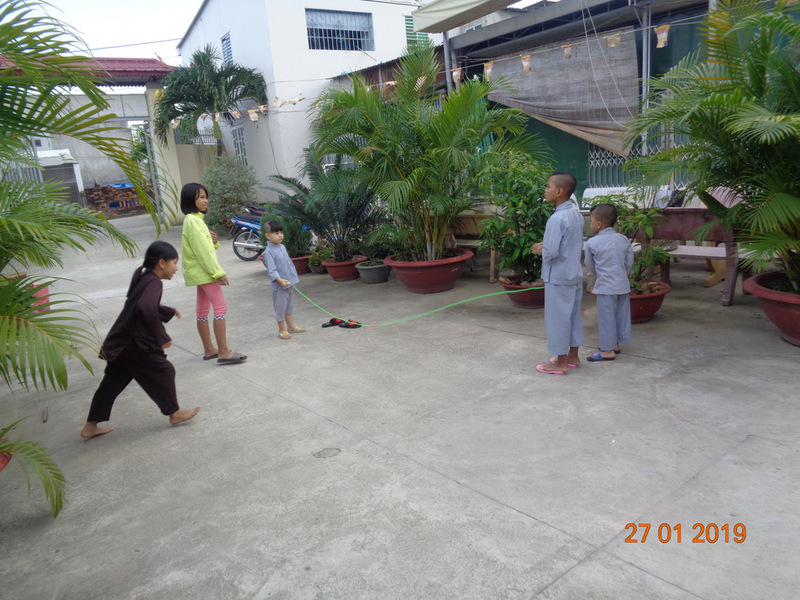 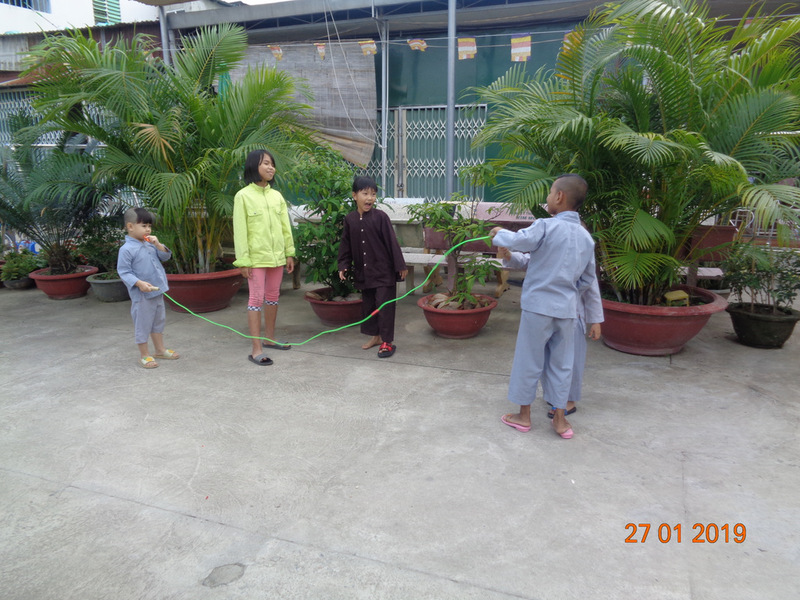 Our team spent some time with the nuns while the children played jump rope in the courtyard. 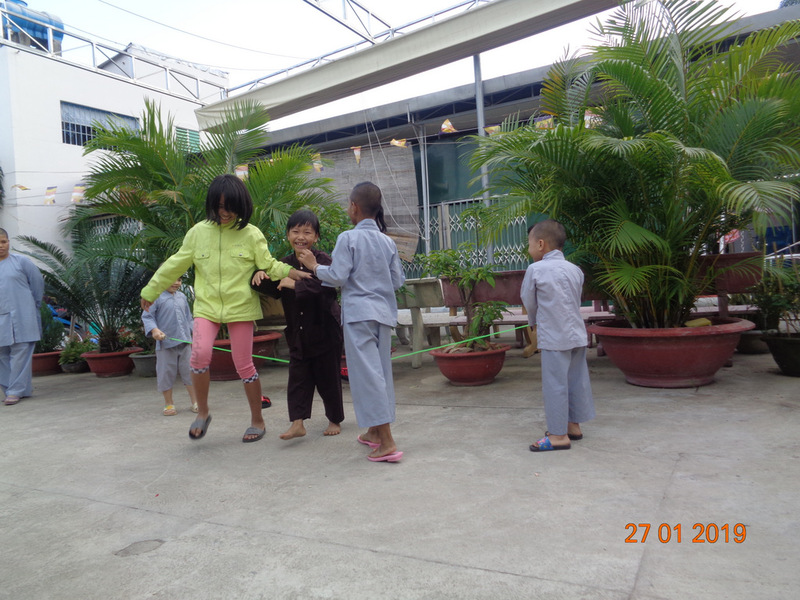 This fun visit was made possible through the kind donation of Khang Do.